Download Charity Organisations Website Template Free PSD. Another modern and elegant website template, this time suitable for charity organisations. If you have to save time and finish your project really fast you can use elements from this Charity Organisations Website Template Free PSD, you can also convert this free website template in to html using Bootstrap, thanks to the normal layout the author used when creating this free template. 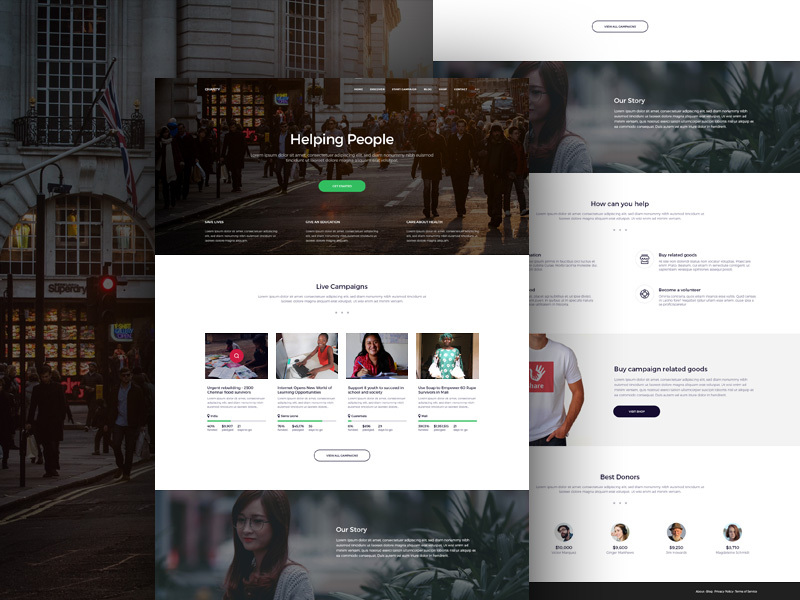 Hope you like this Charity Organisations Website Template Free PSD. Enjoy!